For anyone looking to ski outside of the resort boundaries, a solid education in backcountry and avalanche safety is a must-have to stay safe. Our AIARE 1 course provides a foundation for educated backcountry travel, including how to be prepared when venturing beyond the ropes. Insight into route finding, terrain, decision making, and rescue techniques is provided. Taught over three consecutive days, for a total of 24 hours of instruction, our AIARE 1 avalanche course gives you what you need to look at backcountry terrain with careful eyes. Students must be 16 years of age, or older. Thanks to our unique partnership with Park City Powder Cats & Heli-Ski and Thousand Peaks Ranch one full day of fieldwork is spent at Thousand Peaks Ranch – providing students with true backcountry learning experiences. 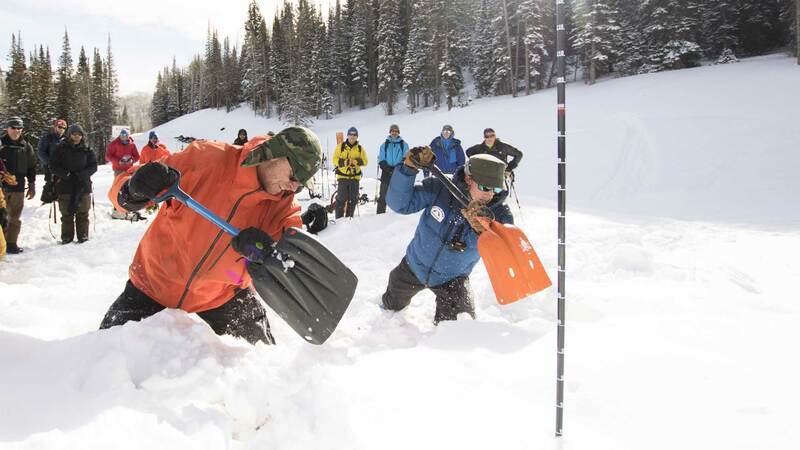 We would like to thank our partners for helping ensure that AIARE 1 students in the Wasatch Mountains receive the best possible avalanche education. For more information, please visit Park City Powder Cats & Heli-Ski, pccats.com. Avalanche danger factors or "Red Flags"